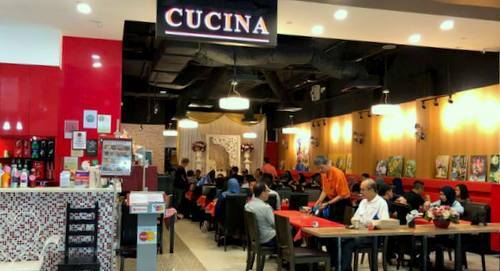 Cucina Restaurant and Catering is located within Singapore’s Aperia Mall, at 12 Kallang Avenue. The restaurant features an Italian cuisine menu, with their catering service also being able to provide a variety of Western, Malay, Italian, Chinese & Fusion dishes. As a catering service, Cucina does indoor and outdoor catering, mini buffets, bentos, themed parties, mini weddings and events for all occasions. …Linguine alle Carbonara (chicken ham with egg drop & cheese), as well as Tagliata Firenze (sliced tender beef in balsamico & olive oil topped with parmensan cheese and a bed of leafy greens). The official Cucina Restaurant and Catering Facebook page is located at www.facebook.com/CucinaRestaurantCatering/. You can also follow the official Cucina Restaurant & Catering Instagram account, which in turn is available at www.instagram.com/cucinarestaurantcatering/.